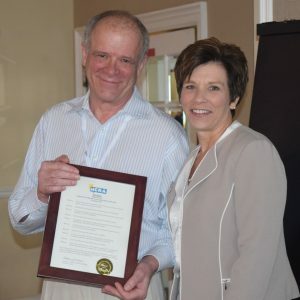 Brian Clune, CLVS, was presented with a plaque recognizing his 20 years of service to the court reporting, captioning, and legal videography professions. Clune was instrumental in creating NCRA’s Certified Legal Video Specialist (CLVS) program, including developing an ever-changing seminar and creating an exam for program participants to prove a basic knowledge of the techniques and ethics required by videographers pursuing a legal video career. NCRA President Chris Willette, RDR, CRR, CRC, presented the plaque to Clune, who had retired from the CLVS Council and committee work in 2017. The CLVS program not only teaches participants the mechanics and best practices for providing a consistent and impartial video record, but it also reaffirms the cooperative nature of the legal videographer and court reporter in the deposition setting. 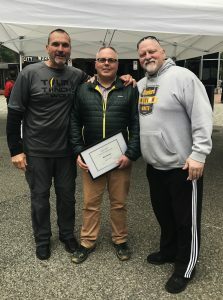 “I am grateful to be the first CLVS to be recognized by the Board for my volunteer service,” said Clune, “but it is the hard work of the many associate members on the CLVS Council that that keeps the program up to date and running smoothly. … Each council member spent extra hours beyond the regular meetings to keep the program fresh and in step with the current technology. It was this collective effort that created the success of the program for these many years. Clune first served as a member of the CLVS Committee and then eventually became the Chair of the CLVS Council, offering his advice to newcomers to the profession, court reporters, and the profession at large. 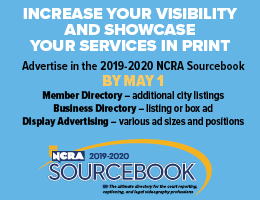 Clune also championed the need for additional, ongoing education for legal videographers, just as is required of their reporter counterparts, and was an integral member of the group that created NCRA’s Trial Presentation Program. 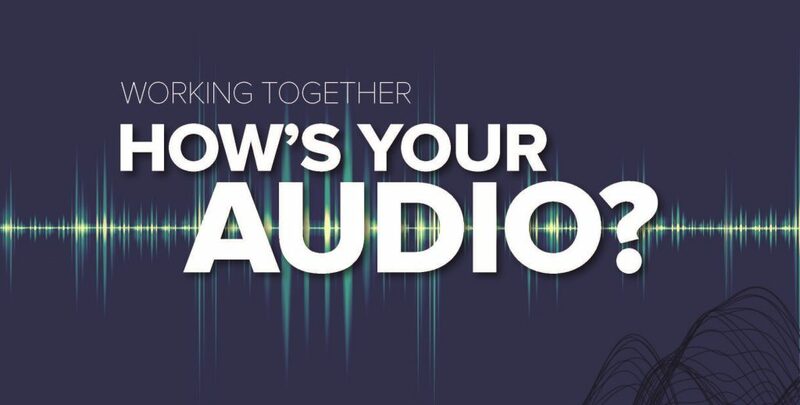 WORKING TOGETHER: How’s your audio? Part of a CLVS’s training is to provide great video and audio for our clients. However, we have two clients: the attorney(s) and the court reporter. Yes, I said court reporter. Part of our job is to offer the court reporter some form of audio, whether it be a live feed from our audio mixer or a digital computer file recorded onto an SD card. The better audio we provide, the more court reporters will want and request to work with a CLVS. I’ll get more into the relationship between a CLVS videographer and a court reporter in a moment. First, I want to discuss the importance of the audio. The CLVS program teaches a CLVS the audio chain, meaning audio should come from wired microphones to the mixer, from the mixer to the video recording devices, and, from there, into a monitoring device, otherwise known as headphones. Unfortunately, many videographers seem to forget the importance of audio in video. We are sometimes swayed by the technical specs of that new camera that just came out. We want the video aspect of it to look great on that new 4K video monitor. Can we see every line on someone’s face? And, in the process, audio sometimes falls to the wayside. This is a shame because, in reality, the audio is of utmost importance, especially in video depositions. The testimony is the deposition. Try an experiment. Turn on the TV with the sound turned down and watch for a few minutes. Turn the sound up and turn your eyes away from the TV and just listen. In most cases, you will get a better understanding of what is happening by listening rather than watching. Now, mind you, I am not disregarding the importance of the video portion of a recorded deposition. Studies have shown that much of how we communicate is through body language, but that would be a different article. A good audio recording will also capture the nuances of the spoken word. Is the voice changing in pitch? Is the speech speeding up or slowing down? How long was that pause before the answer? Did that question seem to come out right? These telltale signs are all an important part of communication. 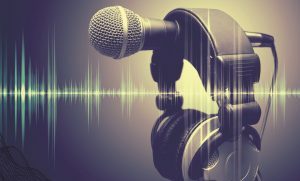 If the video-recorded deposition has audio that has a lot of distracting noise, noise that can come from a bad connection, poor quality microphones, an audio mixer that introduces a bad hum sound, and so on, then the spoken voice starts losing its relevance to the listener. That is why the CLVS training stresses the importance of setting up, monitoring, and troubleshooting your audio chain. Back to the relationship with the court reporter. As I said before, we also teach a CLVS to offer the court reporter some sort of way to monitor the audio, whether it be a live feed or a recording. Court reporters should also be prepared for working with a CLVS and may need to know how to make some audio adjustments on their end and be able turn up or down the input levels on their laptops. Being prepared to make these minor adjustments has huge payoffs in the quality of the audio for scoping and proofing later. Being able to offer a high-quality live feed to the reporter can have other benefits. I can’t tell you how many times we have done depositions during which one of the participants was extremely soft spoken. Having a microphone on the witness and being able to boost that audio signal through the mixer can make all the difference in the world. The court reporter will be very thankful to be able to hear that witness loud and clear using a headset. 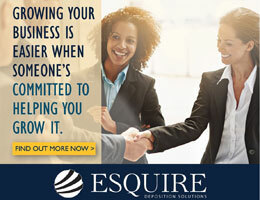 I’ve always felt that if you take care of the court reporter, he or she will take care of you. 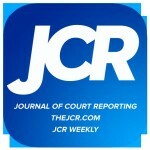 In this business, I believe the court reporter is my most valued partner and friend. Mindy Sindiong, CLVS, of Lawrenceberg, Ind., is a member of NCRA’s Certified Legal Video Specialist Council. She can be reached at Mindy@DeBeneEsseMedia.com. 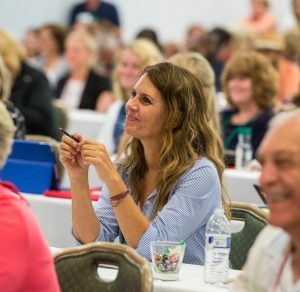 Each year at the NCRA Convention & Expo, videographers from across the country (and even from around the globe) meet for a three-day intensive course. Instructors and attendees go over everything necessary for starting a career as a deposition videographer. While the primary purpose of the CLVS Seminar is to instruct both novice and experienced videographers on how to become legal videographers, perhaps even more crucial is impressing upon them the importance of a professional and respectful relationship between reporter and videographer. Any reporter who has had a bad experience working with an uncertified videographer can appreciate the value of the CLVS certification process. The curriculum for the CLVS Seminar is developed and taught by the CLVS Council, which is a team of volunteers who already have earned their CLVS certification. Attendees at the Las Vegas Convention had the privilege of being taught by a legend of legal video, Brian Clune, CLVS, who after twenty years of service to NCRA, stepped down from his post on the CLVS Council. Brian’s wealth of knowledge and inimitable charm will be greatly missed! Attendance at this year’s Seminar was higher than anticipated. It was standing room–only until we brought in extra chairs to accommodate the high demand. 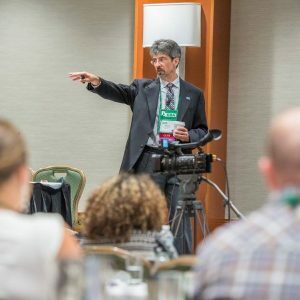 An added benefit to having the CLVS Seminar at the Convention is the networking opportunities available to both videographers and reporting firms alike. I hear from firm owners all the time that they have great difficulty finding qualified videographers to cover their jobs. The CLVS certification is the gold standard for identifying competent and vetted legal videographers and sets them apart from the rest of the field. In addition to teaching the legal video curriculum at the Convention, the CLVS Council also administers the Production Exam. This is a thirty-minute timed examination in which the candidates video a mock deposition under real-life circumstances. We grade them on how they conduct themselves in the deposition as well as the video record they produce. I am pleased to report that the results of the CLVS practical exam at this Convention had the highest passing rate in many years, which I believe is a testament to the quality of teaching at the Seminar. The next opportunity to take the practical exam will be Sept. 30-Oct. 1 at NCRA headquarters in Reston, Va. Based on the attendance in Las Vegas, NCRA expects the time slots for the Production Exam to fill up quickly, so reserve your spot now! Visit NCRA.org/CLVS for more information about this program or to register. The next testing dates to take the CLVS Production Exam will be Sept. 29-30 at NCRA headquarters in Reston, Va. Registration is open Aug. 25-Sept. 22. Space is limited, so candidates are encouraged to sign up early. The registration form is available here. The Certified Legal Video Specialist (CLVS) program sets and enforces standards for competency in the capture, use, and retention of legal video and promotes awareness of these standards within the legal marketplace. “The CLVS certification is the gold standard for identifying competent and vetted legal videographers and sets them apart from the rest of the field,” said Jason Levin, CLVS, Chair of the CLVS Council. The CLVS Council leads the CLVS Seminar and administers the Production Exam. During the Production Exam, candidates will run the show at a staged deposition and be graded on their ability to follow video deposition guidelines and produce a usable, high-quality video of the deposition. Candidates must have taken the CLVS Seminar first; the Production Exam and the Written Knowledge Test may be taken in any order. Learn more about the CLVS program at NCRA.org/CLVS. 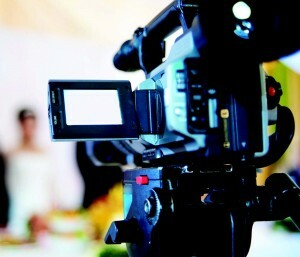 Atkinson-Baker, Los Angeles, Calif., announced in a press release issued Aug. 4 that the firm now has legal videographer services for depositions. 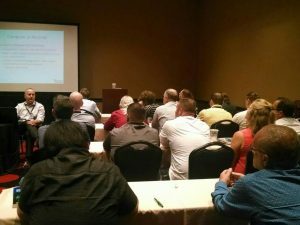 NCRA offers legal videographers the opportunity to complete several steps toward their Certified Legal Video Specialist (CLVS) certification at the NCRA Convention & Expo. 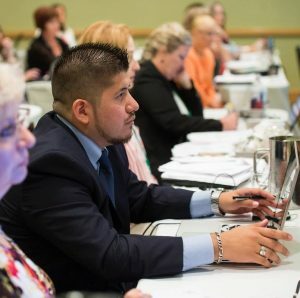 Work toward the CLVS certification through the three-day CLVS Seminar and Production Exam while networking with both up-and-coming and highly regarded CLVSs and court reporters. There is also a ticketed Legal Videographers Reception on Friday from 6-7 p.m.
Videographers new to legal video can take the three-day CLVS Seminar. If they have already completed the CLVS Seminar, then they can sign up for the CLVS Production Exam on Friday or Saturday. Legal videographers with sufficient deposition-taking experience may apply to take the CLVS Seminar and CLVS Production Exam concurrently. Once approved by the CLVS Council, experienced videographers will be notified that they can take the CLVS Seminar on Saturday and the CLVS Production Exam on Sunday. CLVS candidates are encouraged to take advantage of the NCRA room block while in Las Vegas. JD Supra Business Advisor posted a blog by Kramm Court Reporting on Jan. 19 that discusses what legal videographers can do to help the court reporters they work with succeed. Oklahoma-based Steno Services announced in a press release issued Dec. 5 that it has partnered with Opveon Litigation Support Services to provide videography services. Opveon owner Jason Weitholter will be the videographer.